Baby steps in gardening, baby steps in so many areas of my life right now. Then it was off to the paint store. Got more of the wallpaper I love for my own room (now that I decided to put up more, I didn't have enough. Figures.) and a new border for the aforementioned bathroom. Plus paint chips for the bath and the kitchen. And a curtain rod for the kitchen. The sun bouncing off the white siding of our neighbours' home is just too much nowadays, and I must get those curtains up to keep from going blind! Shuttleworks in a couple of weeks. More baby steps, as I want to invest in a drop spindle. 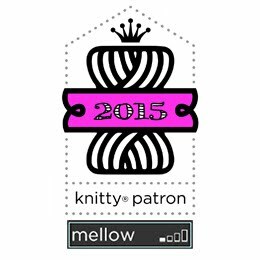 I fairly drool every time I visit the spinning forum at Knitters' Review! Later in the afternoon I drove out to Addie's in Cochrane for a penny rug pattern and supplies. I have long wanted to learn how to do this, and for a bit over $30 managed to set myself up with a pretty little traditional rug pattern plus the right wools to felt. The background will be navy (they were out of black), the "pennies", dark brown. In the centre, there are olive green circles bordered by vines (embroidered) with leaves (various greens) and berries (cranberry). Should look a picture at the end of my bed! :-) Also a nice piece of handwork to do on my bench in the garden of a summer Sunday afternoon (if we ever get summer, that is!). Tonight DH and I are dining out with some dear friends from church. Cheers!